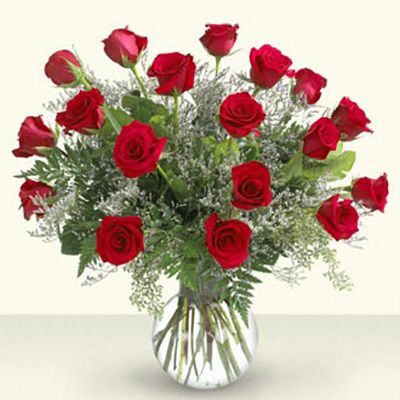 This design features 1.5 dozen long-stemmed roses with accent flowers, arranged in a vase. Available in red, white, pink, yellow or orange. The Deluxe version will have fragrant Oriental lilies added, in white or pink.